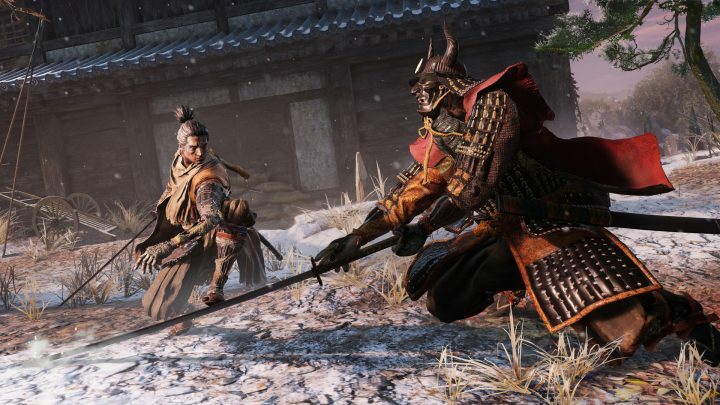 You don’t level up in Sekiro: Shadows Die Twice. Instead of earning souls or blood echoes, you earn points — points that you can spend on skill trees. There are multiple skill trees to unlock in Sekiro, and some of them are pretty easy to miss. Some are given to you by NPCs, while others have to be found in the intricate, enormous environments. Here, we’re going to list how to get all five skill trees. All of them are handy, with a variety of powerful skills and enhancements that will make your life much easier while trying to defeat the many, many bosses in this mythical vision of Japan. You won’t find alternate weapons or gear, so it’s all about unlocking additional skills and equipped them to your hero. Esoteric Arts Scrolls will unlock additional Skill Trees. There are five Skill Trees in total — some of them you’ll start with or unlock naturally as you progress in the game. Others are totally optional, and can be missed. Location: Given by the Old Sculptor after progressing into the Ashina Outskirts. May require a death to trigger the event. Shinobi Arts unlocks stealth-based skills that will help you remain unseen and strike from the shadows. You cannot miss this Skill Tree. Some of these skills are incredibly useful. Location: Reward for completing Tengu’s side-quest in Ashina Outskirts. Talk to Tengu in this area and complete his ‘rat problem’ to get this scroll as a reward. Ashina Arts are all about battle. These skills give you additional combat abilities, and they are often very useful against boss encounters, where stealth isn’t really an option. Location: Given by the Old Sculptor after fitting three Prosthetics, or unlocking one Prosthetic upgrade. Prosthetic Arts allow you to strike with a special move after performing a prosthetic ability. All prosthetic arts are tied to your prosthetics, so look at the skills and judge wisely before purchasing new abilities. Location: Found near the end of Senpou Temple, Mt. Kongo. From the Main Hall Idol, look to the left for a cave entrance guarded by creepy centipede ninja. Follow the cave route down and then up to a lonely tower where this old text is contained. Temple Arts are all about Senpou Martial Arts. These arts unlock special hand-to-hand techniques. Location: After completing Tengu of Ashina’s quest, return after unlocking the final skill for any of the skill trees. If Tengu has left Ashina Castle, you can also talk to Lord Isshin to receive this text. The final Skill Tree is related to ninjitsu abilities and the Mortal Blade — you’ll learn powerful Mortal Blade draw techniques, or shadow-step follow-up attacks for your ninjitsu skills that become available after defeating Genichiro.